MARSHALL--A Lindale couple is suing Kia, alleging the wife's vehicle didn't adequately protect her during a collision. Carolyn and Keith Attaway filed a lawsuit Oct. 22 in the Marshall Division of the Eastern District of Texas against Kia Motors American and Kia Motors Corporation. According to the complaint, on Sept. 20, Carolyn Attaway was driving a 2010 Kia Soul on county Road 431 in Smith County when another vehicle entered her lane and caused a head-on collision. 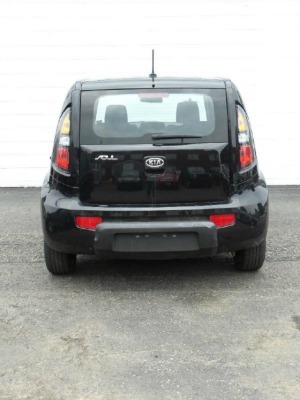 The suit says Kia designed its vehicles to be less than adequate in a collision and it should have known this. Further, the defendants should have known of a safer alternative design that would have prevented the accident and the injuries to Attaway. As a result of the collision, the suit states, the plaintiffs have endured pain and suffering, emotional distress, impairment, disfigurement, interference with daily activities and a reduced capacity to enjoy life both in the past and in the future. The Attaways seek to recover actual damages, costs of the suit, pre- and post-judgment interest and other relief the court deems appropriate. They are represented by attorneys E. Todd Tracy, Stewart D. Matthews and Andrew G. Counts of The Tracy Firm in Dallas. Marshall Division of the Eastern District of Texas Case number 2:15-cv-01673-JRG-RSP.